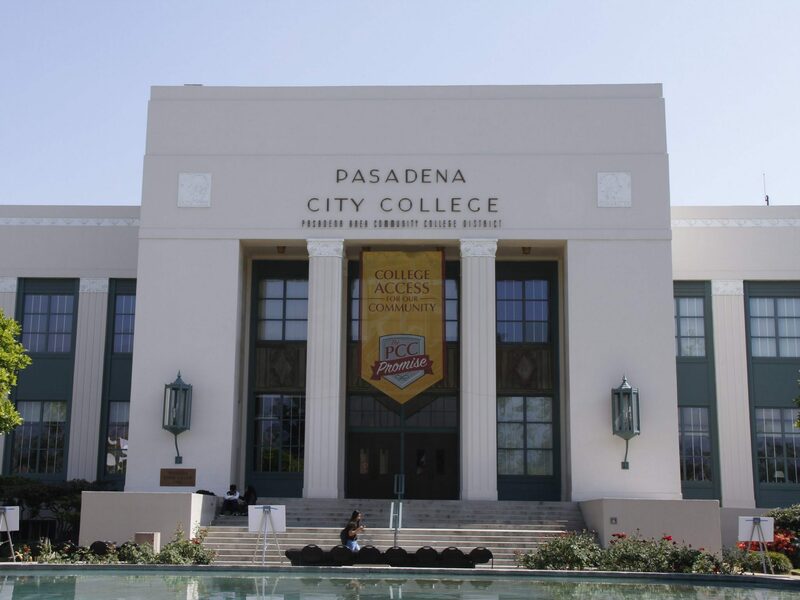 Former Courier Editor-In-Chief, Amber Lipsey intends to file a lawsuit against the Pasadena Area Community College District (PACCD) following their failure to release records concerning sexual harassment complaints and/or assault against staff and faculty at Pasadena City College (PCC). 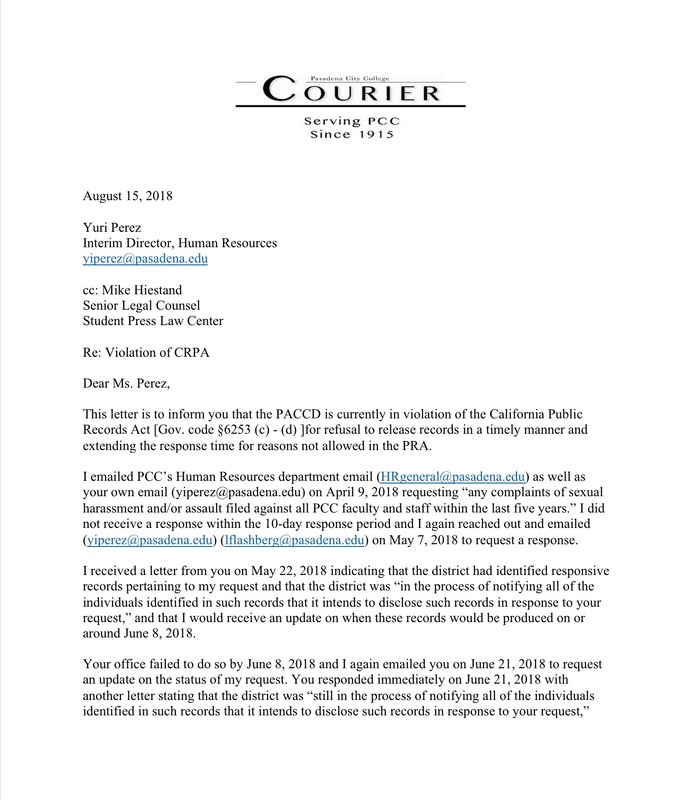 In April of 2018, before the Courier published an article about sexual harassment allegations against vice-president and corporate chef of I-8 food services, Tychicus Yu, Lipsey contacted Yuri Perez, the interim director for Human Resources, through email for a public records request about sexual harassment complaints/assault within the last five years at PCC. As of August, Lipsey has not received the information she requested. Perez delayed release of the records several times, stating that the district was in the process of notifying the individuals identified in the records that they would be released. In a later email, Perez said that she was waiting to hear back from the individuals included in the records. However, according to the California Public Records Act (CRPA), “governmental records shall be disclosed to the public, upon request.” Under this act, the time window to provide records is 10 days, including 14 for extension. 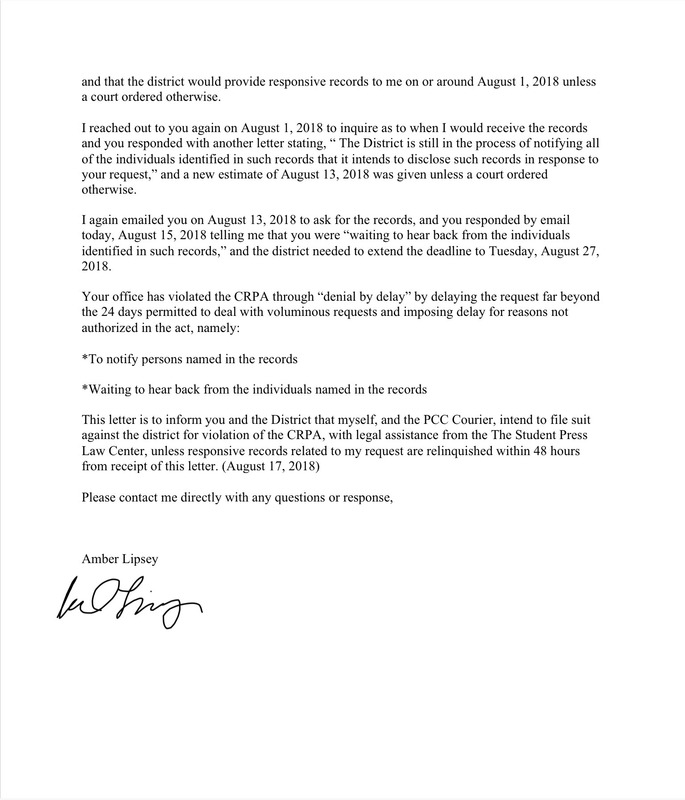 If the requested public records are not sent to Lipsey within 48 hours from receipt of her letter, The Student Press Law Center will provide legal assistance to Lipsey and the Courier in their suit.